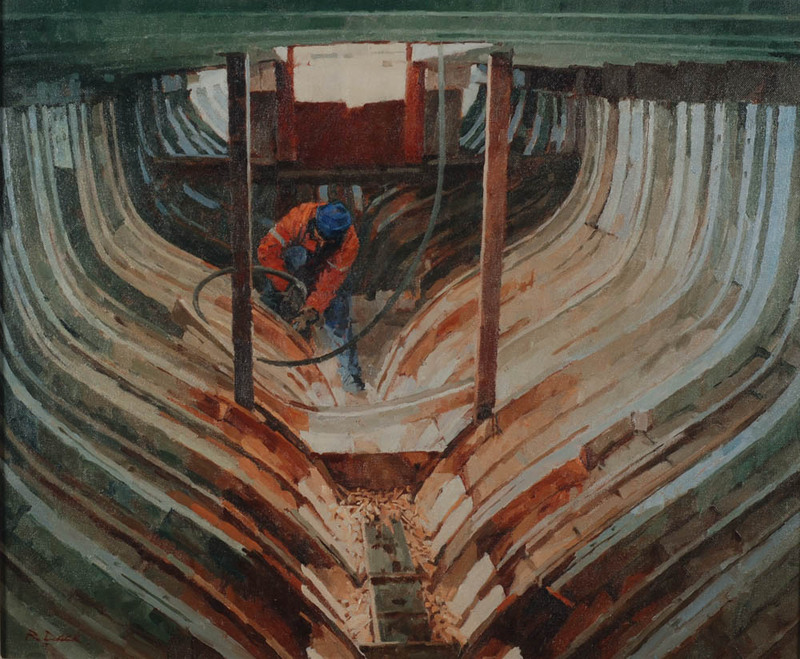 Richard Dack studied painting and printmaking at Camberwell School of Art, where drawing and rigorous observation were central to a regime that insisted on the relationships between form, tone and colour being struck exactly – disciplines that served him well in his development as an artist. 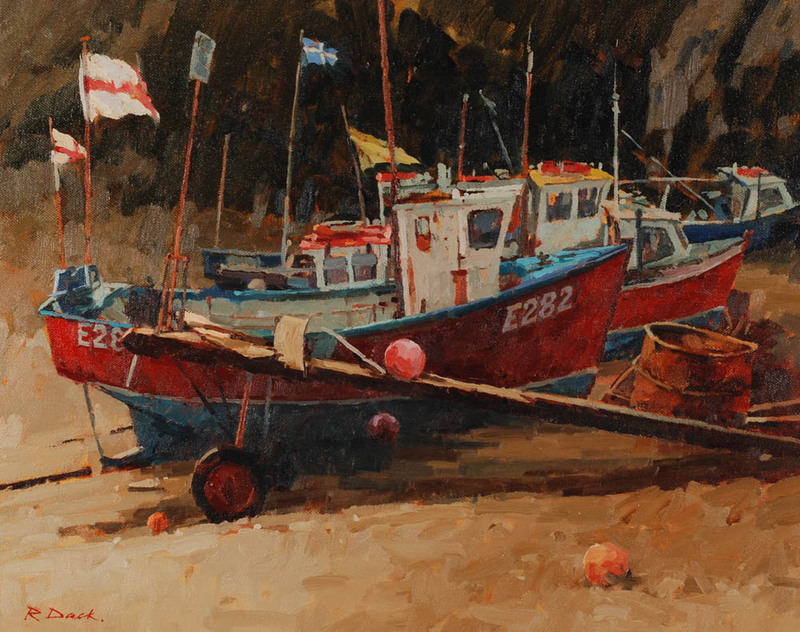 Richard grew up in Lowestoft when it was a flourishing port, with a bustling fish market and busy shipyards. 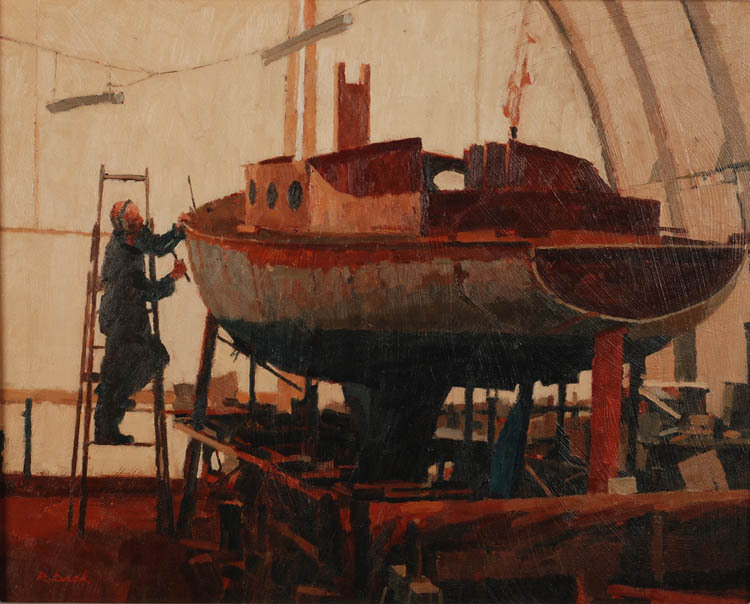 This rich environment provide the subject matter for his first serious adventures into painting while at school, and this attraction to the industrial aspects of the maritime world played a large part in his eventual emergence as a marine artist, and remains with him to this day. 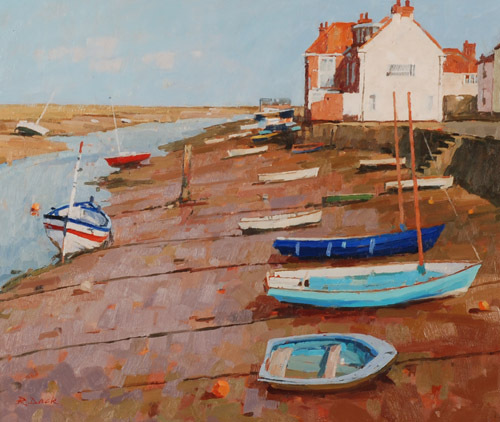 However, he is also to be found working along the estuaries and coastline at a variety of locations from the rugged shores of the southwest to the wide open spaces of North Norfolk. 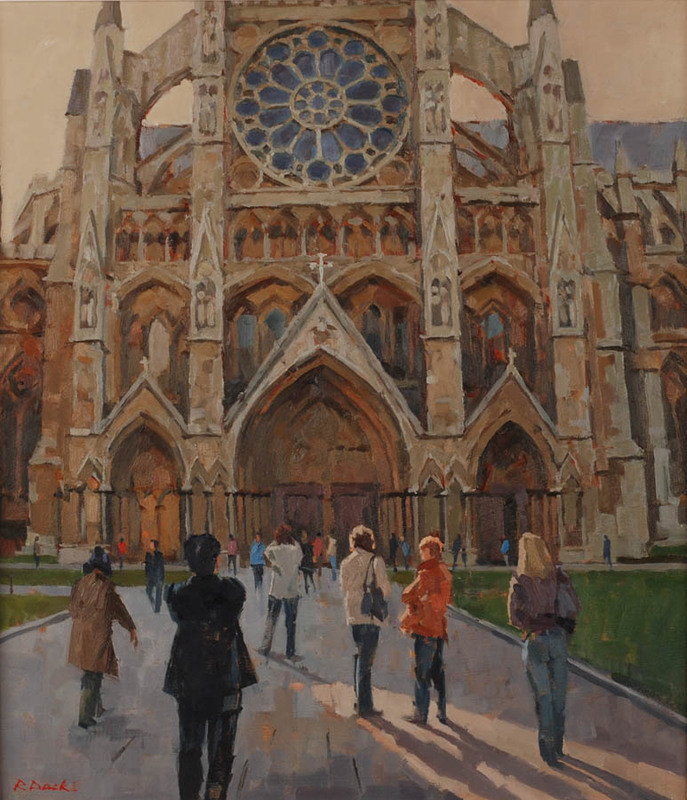 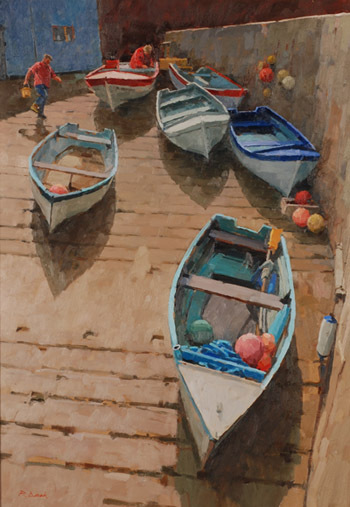 In these situations light is frequently the focus of his work, and he is especially fond of the delicate and transient quality of light that is so characteristic of the east coast. 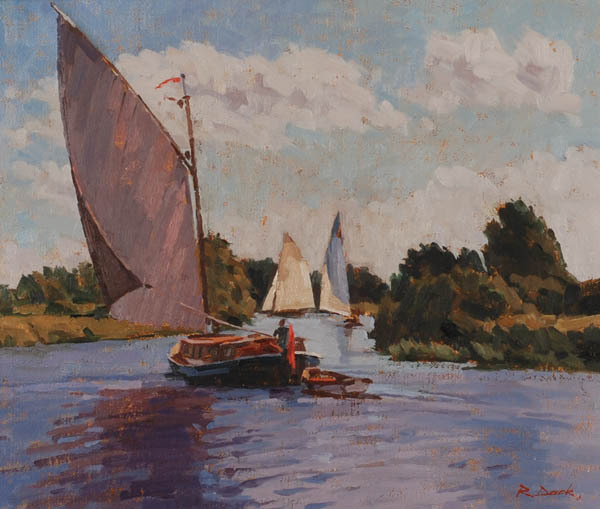 He now lives in Suffolk. 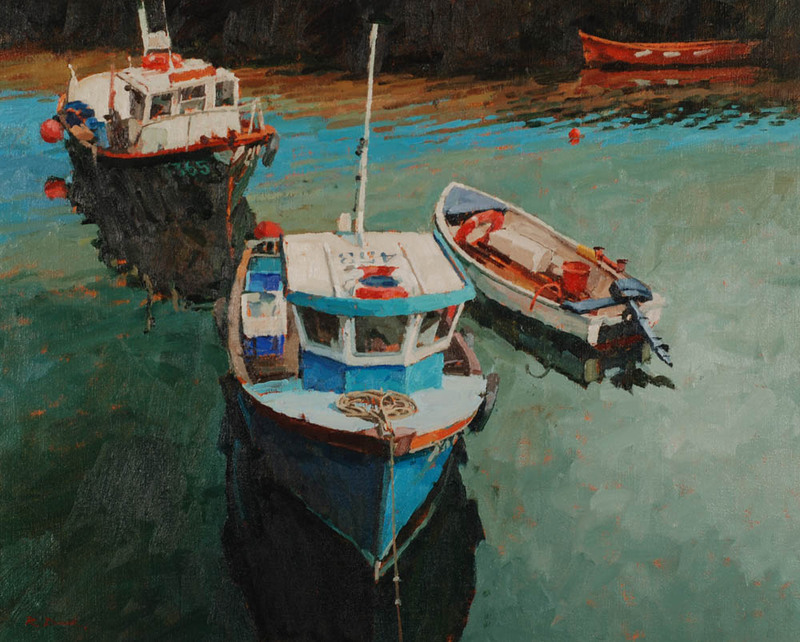 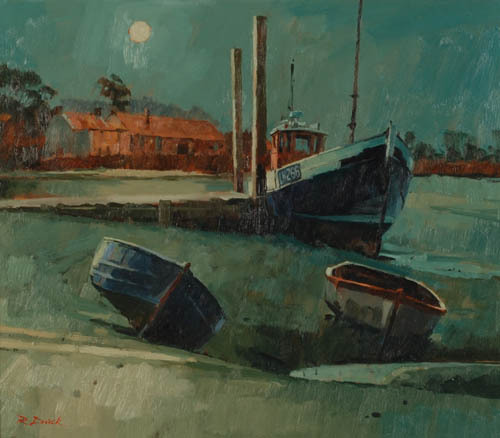 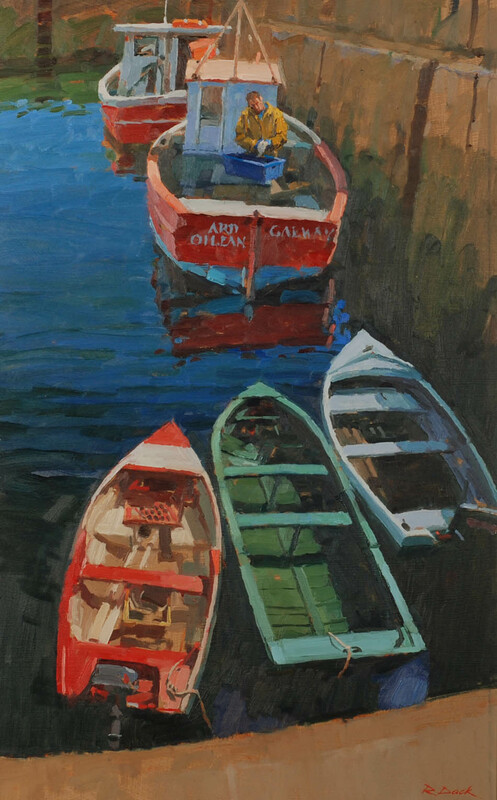 Richard Dack RSMA is the current Chairman of the East Anglian Group of Marine Artists and also Secretary of the Royal Society of Marine Artists.